Labor's victory in the Victorian election is the biggest win for the labour movement since the federal election of 2007. The Napthine government thought the union movement would deliver it victory courtesy of an anti-union scare campaign. Instead, the unions were decisive in the Coalition's defeat. Victorian Labor, led by secretary Noah Carroll, and the Victorian Trades Hall Council, led by secretary Luke Hilakari, have set a new benchmark for the "ground game" in Australian electioneering by mobilising record numbers of volunteers and utilising the latest campaign technologies and techniques. The result has profound implications for the Liberal Party, with the labour movement planning to replicate the Victorian effort in state elections in NSW and Queensland in 2015 and the federal campaign the year after. Every modern campaign has a ground war and an air war. The air war is essentially the big advertising campaigns that bombard our screens and airwaves, and the carefully scripted photo opportunities and statements the politicians deliver for the news. The ground war is the direct contact between voters and campaign workers through door knocking, phone calls, street stalls and letter-boxing. This election should give the Liberals cause for significant strategic review. Labor won the air war in this election with a more disciplined campaign focused on a few key messages; it did extremely well to lift Daniel Andrews' standing as preferred premier. But that said, the air war was mostly conventional. Each side served-up the usual run of largely negative ads warning about the consequences of voting for the other side. It was in the streets and neighbourhoods of Victoria that this campaign got really interesting. Labor replicated the latest campaign techniques from the United States and incorporated them into its traditional campaign machine built around the labour movement. 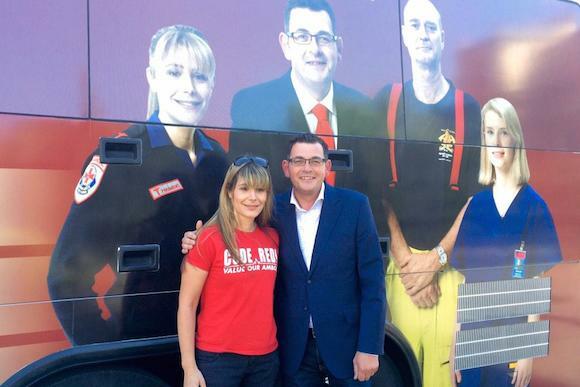 Helped along by the Coalition's demonisation of unions, Trades Hall spent the past eight months mobilising thousands of union volunteers – fire fighters, paramedics, nurses, teachers and others – converting them into a "boots on the ground" campaign army. And Victorian Labor spent the past four years recruiting and training thousands of volunteers – not just party members – in the art and science of campaigning. At the same time they established significant new campaign infrastructure that includes call centres, new voter canvassing techniques, and a step-up in its database and analytics operation. The result is a campaign machine that can deploy a massive volunteer resource in a targeted way to deliver the most effective results. It means having the right person deliver the right message to the right voter in the right seat at the right time. The Labor field campaign made more than 500,000 phone calls, including 23,000 on the Thursday night before polling day. It also door-knocked more than 170,000 homes. Meanwhile, the Trades Hall campaign involved 2200 volunteers who door knocked 93,000 homes and made 123,000 phone calls in six marginal seats – Frankston, Bentleigh, Mordialloc, Carrum, Monbulk and Bellarine. Phone polls, door-knocking and voter modelling based on demographic analysis was used to identify people who were "undecided" and what were their top issues. If an undecided voter's top issue was health, they would be contacted by a nurse or paramedic; if it was education it would be a teacher; and so on. The potency of this campaign technique rests with the authenticity of the person delivering the message. In the information age, people are harder to reach because they are bombarded with news and have become skilled in tuning out. Not surprisingly, people will believe a nurse over a politician when it comes to a debate about health. Ditto for a teacher on education, a paramedic on emergency services, or a neighbour on a local issue. Trades Hall's research suggests this approach delivered a 73 per cent conversion rate for undecided voters. Doorknocking can be a thankless task. On average, one in four people shut the door on you. With someone in uniform, it never happens. In this campaign, union volunteers had to be advised not to accept welcoming invitations into people's homes and to politely decline offers of money. It was a long way from the Coalition's scare campaign about the danger of a "Union State". The provisional statewide swing to Labor was about 2.5 per cent. In the six seats the union campaign targeted, the swing was about 4.25 per cent. It is these margins that decide the fate of governments. This election should give the Liberals cause for significant strategic review. For most of the modern era the air war has been all-important in deciding elections. In this field the Liberal Party has often had the edge, with potent ads and a big advertising budget. But Saturday's result shows you cannot win an election in the last 25 days of a four-year term with a big advertising spend and a leader making a big new promise every day. And the labour movement is not about to repeat the ACTU's mistake of dismantling the "Your Rights at Work" campaign operation after the 2007 federal election. The problem for the Liberals is that they do not have an equivalent campaign machine to compete with Labor in the field. And attempting a quick fix via the evangelical-Christian or anti-abortion groups will create its own set of internal and external problems. 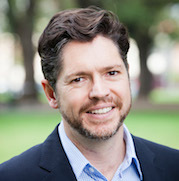 Nicholas Reece is a Principal Fellow in the School ofr Social and Political Sciences and the Melbourne School of Government. He is director of Election Watch. He was a senior aide to former Australian Prime Minister Julia Gillard and political advisor to Victorian Premiers Steve Bracks and John Brumby. He has also worked as a lawyer, journalist, and Labor party secretary. Nick’s areas of expertise include public policy, public sector management, election and community campaigns, media and communications, political parties, voting systems and parliamentary process. This article was first published on The Age. The Melbourne School of Government brings together academics, policy makers, industry leaders and communities to promote excellence in public policy and governance at all levels of decision making.